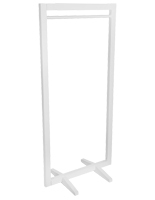 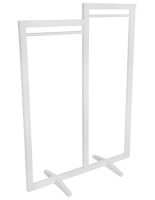 Bring a modern chic style into your retail shop with this minimal boho wood clothing stand. 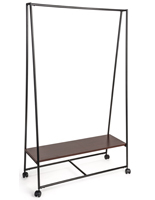 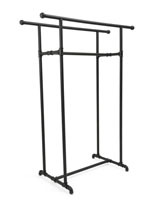 The single garment rack rod provides plenty of storage for hanging fashion merchandise. 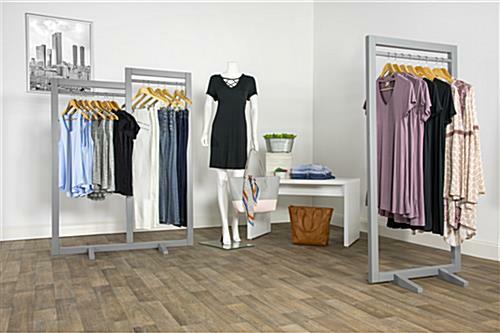 The simple design makes this gray boho wood clothing stand the perfect complement to any existing shop setup. 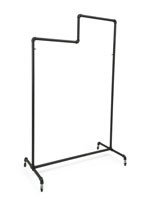 Two feet stand at the base of the garment rack to provide stability, even under a heavy load. 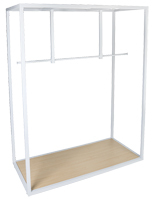 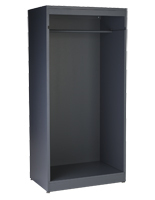 Update the look of your fashion department with this wood clothing stand and its ample product storage space. 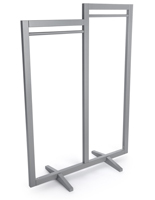 This straight rail features an open design that’s perfect for pants, dresses, and other long items.